Our workers at our Longbridge site are raising funds for the above charity which is close to the hearts, 100% of all funds raised on the day will be going to the charity. Our prices will remain the same so as much money can be made for this charity. Midlands Air Ambulance is the charity responsible for funding and operating three air ambulances serving the communities of six Midlands counties: Gloucestershire, Herefordshire, Shropshire, Staffordshire, Worcestershire and the West Midlands. This constitutes the largest air ambulance operating region in the UK. The charity also provides secondary cover to the surrounding areas, such as Warwickshire and mid Wales. 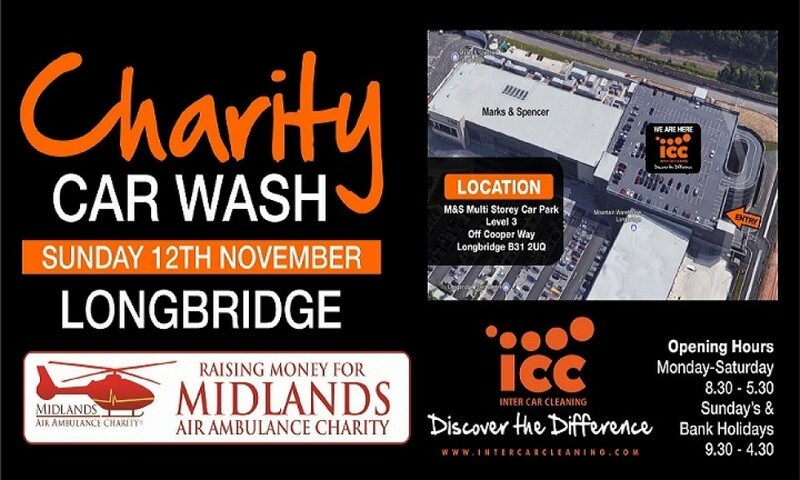 Come down to Inter Car Cleaning at Longbridge (M&S Multi Storey Car Park L3) on 12th November 9am – 4pm to also be in with a chance of winning a fantastic Chocolate Explosion bundle in our raffle.